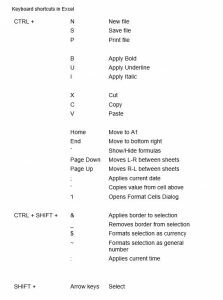 The quickest way to get around Excel is to spend a bit of time learning some keyboard shortcuts. 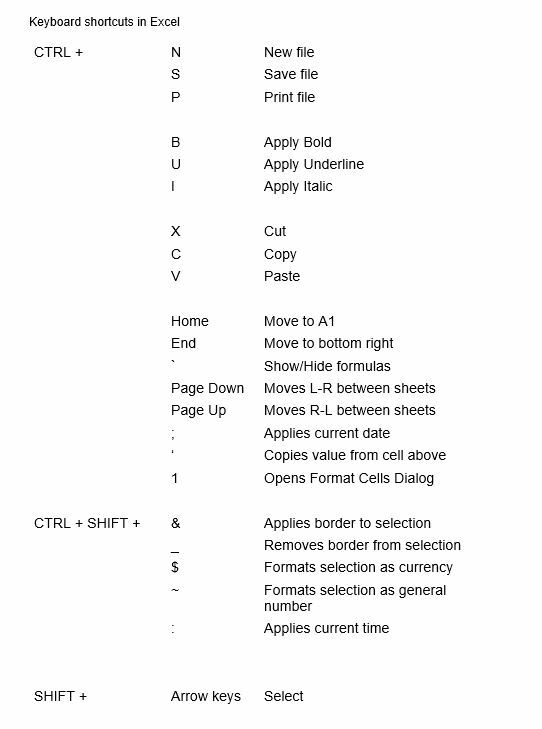 This is when you hold down one key – often CTRL – then tap another one. Here are a few examples.